Like existential freedom, honesty and truth-seeking demand a perpetually renewed commitment. No one ever fully arrives, and all of us are blown off course on the journey. Even when we think we have reached our destination, we are often startled by the enigma of arrival, and must set sail again. We are all in the same boat. The search for truth is a process, an experiment, an essay -- a trying without end. Yet surely it is not an exaggeration to say that most people are liars and self-deceivers. Honesty, while touted as a virtue, is practiced far less than it is praised. There is almost nothing that people are less honest about than their attitudes toward honesty. Few think of themselves as dishonest, and even to hint that someone is so is received as a great insult that usually elicits an angry response. 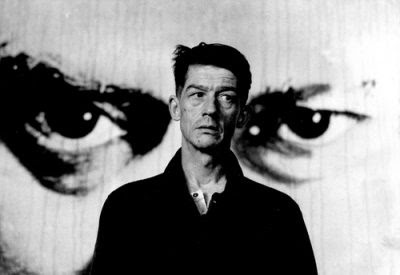 So most people follow the advice of the character Jean-Baptiste Clamence from Albert Camus' The Fall: "promise to tell the truth and then lie as best you can." In that way you satisfy your own and others' secret desires for deception and play-acting, and other people will love you for it. However, it is widely accepted that political leaders and the mass media lie and dissemble regularly, which, of course, they do. That is their job in an oligarchy. Today we are subjected to almost total, unrelenting media and government propaganda. Depending on their political leanings, people direct their anger toward politicians of parties they oppose and media they believe slant their coverage to favor the opposition. Trump is a liar. No, Obama is a liar. And Hillary Clinton. No, Fox News. Ridiculous! -- it's CNN or NBC. And so on and so forth in this theatre of the absurd that plays out within a megaplex of mainstream media (MSM) propaganda, where there are many shows but one producer, whose overall aim is to engineer the consent of all who enter while setting the different audiences against each other. It is a very successful charade that evokes name-calling from all quarters.